The Quality Matters 7th Annual Conference on Quality Assurance in Online Learning convened last week in beautiful San Antonio, Texas around the theme, “Deep in the Heart of Quality.” The conference kicked off with a welcoming reception that included an opportunity to network and even take boat tours on the San Antonio River. The hurricane rains moved out, and beautiful weather moved in, resulting in the perfect evening for a cruise highlighting the city’s rich history. In this unique setting, the conference provided timely insights about the rapid pace at which education is changing and the steps institutions can take to keep up. 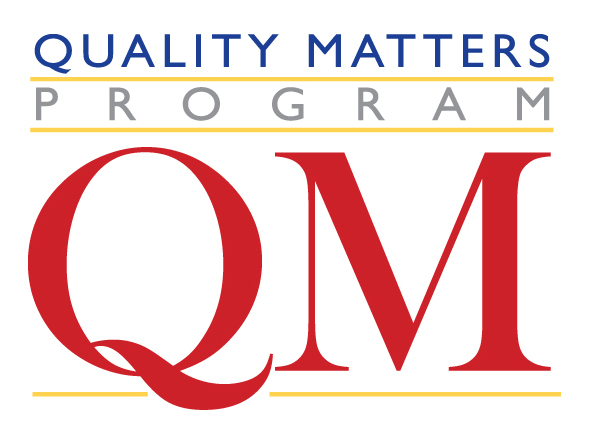 The Quality Matter’s (QM) mission is to promote and improve the quality of online education and student learning. QM is a nationally recognized, faculty-centered, peer review process designed to certify the quality of online course design and online components. The QM Rubric is used in course reviews that result in continuous improvement and faculty development. Competency Based Education (CBE) and Prior Learning Assessment (PLA) are misunderstood. The two terms are often conflated. In simple terms, CBE is focused on the actual student learning and application of that learning to earn college credit. PLA is the evaluation and assessment of an individual’s life learning for college credit, certification, or advanced standing toward further education or training. CBE has been around for about 45 years. DEAC institutions have been involved with PLA and CBE for a long time. CBE will not replace traditional education, but will provide another avenue for learning. Some individuals believe that we are at the 3rd generation of innovation in CBE, but we still have a couple more generations to go. Education is becoming more student and learner centered. Measurement of student learning outcomes has replaced the traditional focus on teaching. We are seeing the unbundling of courses from programs, faculty from courses and programs, and faculty and staff from administration at all levels of education. Worldwide, employers, and economies need quality education and innovation. The U.S. and other national governments want more efficiency in their educational systems. As distance education grows worldwide, the infrastructure that is in place today cannot support the growing population’s need for education. QM offers a host of valuable information that can be applied to all distance learning institutions. QM’s faculty-centered, peer-review process is designed to improve the quality of online, hybrid, and competency-based courses. DEAC member institutions can really add value to the important conversations taking place at the CM conference. Walk or run the Riverwalk. Try Schilo’s Delicatessen. Wonderful German food since 1917. Great split pea soup! Walk the neighborhood of Southtown and try Rosario’s and Liberty Bar. I hope to see you next year at Quality Matters! Nan Bayster Ridgeway joined the Distance Education Accrediting Commission as the Director of Accreditation in August of 2005. As Director of Accreditation, Ms. Ridgeway guides institutions through the process of initial and re-accreditation. She works to assure institutional compliance with the Commission’s published educational and ethical business standards. This was written by DEAC. Posted on Friday, November 13, 2015, at 9:59 am. Filed under Entry. Bookmark the permalink. Follow comments here with the RSS feed. Both comments and trackbacks are currently closed.